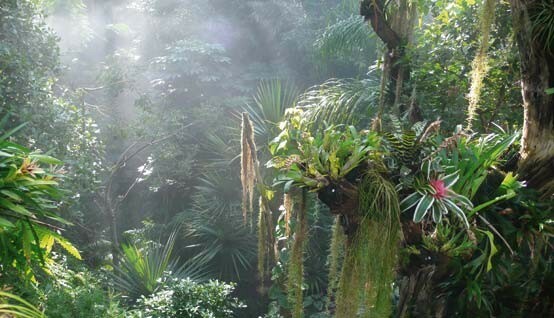 More than 20000 plants populate the Biosphere, among them some of the most gorgeous plants from the tropical forests. Climbing plants twine up and around trees and are hanging off the treetops. Crop plants sprout fruits: lemons, coffee and cocoa beans. Bromeliads and orchids are bright touches of color in the thick green of the rainforest. Especially during the annual orchid bloom in spring the Biosphere transforms into a colorful sea of flowers. 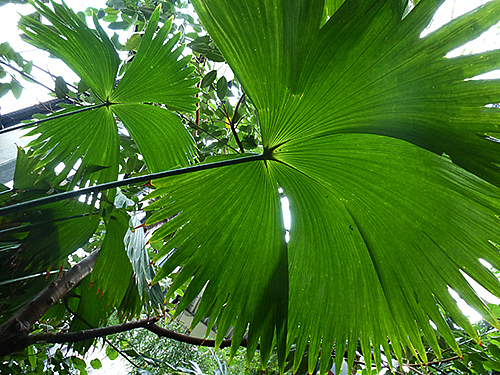 The traveler’s palm (Ravenala) is spread out just like a huge stretched out fan in front of the visitors. The heraldic tree of Madagascar can get as tall as 15 meters and is versatile in use. Its leaves can be used to build roofs. 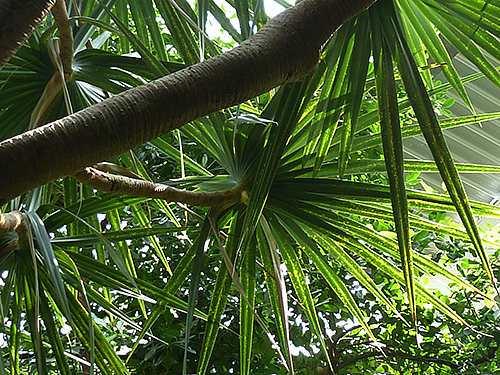 The traveler’s palm is named after its ability to store water. It can also help travelers that got lost, due to its tendency to grow in an east-west line. Therefore it offers water and orientation to travelers. The Carludovica palmatabelongs to the family of cyclanthaeae and is native to the tropical regions of South and Central America. The plant bears the colloquially used name ‘panama hat plant’ not because it looks alike to a panama hat, but because panama hats are made from the dried leaf fibers. Originally native to Madagascar, the screw pine (pandanus utilis) is now widely spread in many tropical regions worldwide. The fibers from the leaves of the screw pine are used in today’s world, e.g. as packaging material. The horizontally striped bark of the screw pine is said to have inspired Leonardo Da Vinci to invent the double helix spiral stairs. This is one example that shows how nature is a model for many inventions of men. The vanilla (vanilla planifolia) is the only kind of orchid that is cultivated as a crop plant by men. Aside from cocoa and pepper, vanilla was the third important ingredient in the Aztecan drink of the gods ‘Xocolatl’. 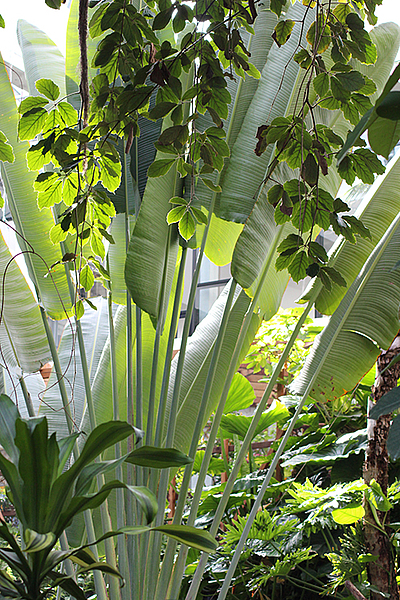 In the 16th century Spanish conquistadores brought the plant to Europe. Today vanilla is one of the most expensive spices and is used mostly for sweet dishes. The plant, also called strelizia, mostly serves as an ornamental plant, due to its extraordinary form and colors. The plant is native to South Africa, where it can be found on river banks and in forest clearings. Ever since the 18th century the plant has been cultivated, for example there is a cultivar called Mandela’s Gold.